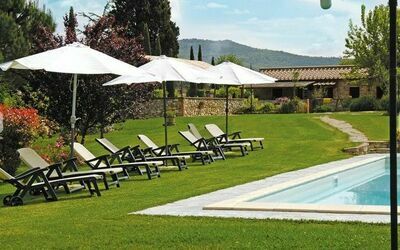 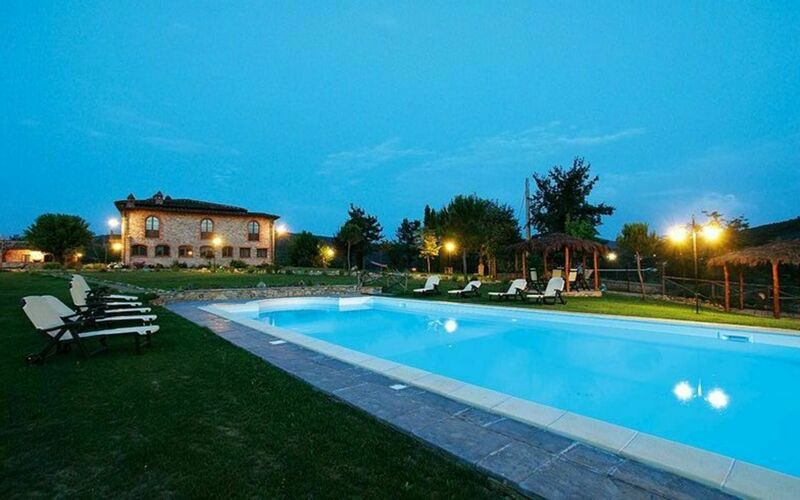 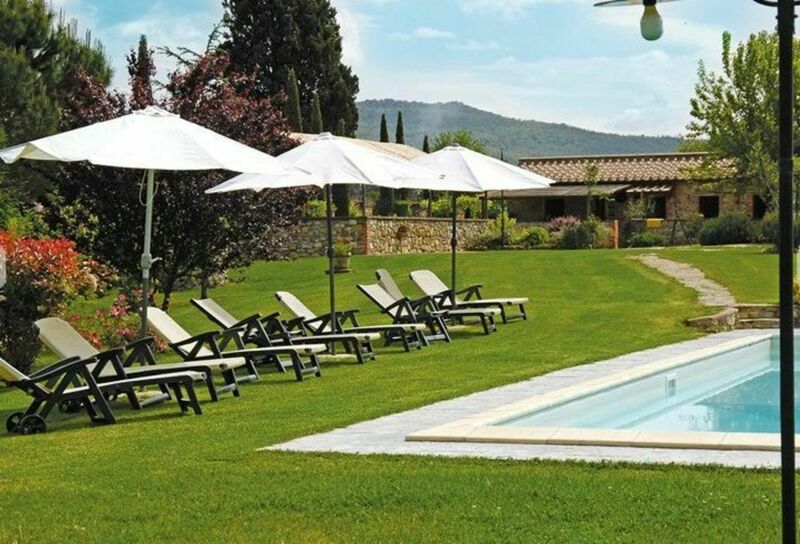 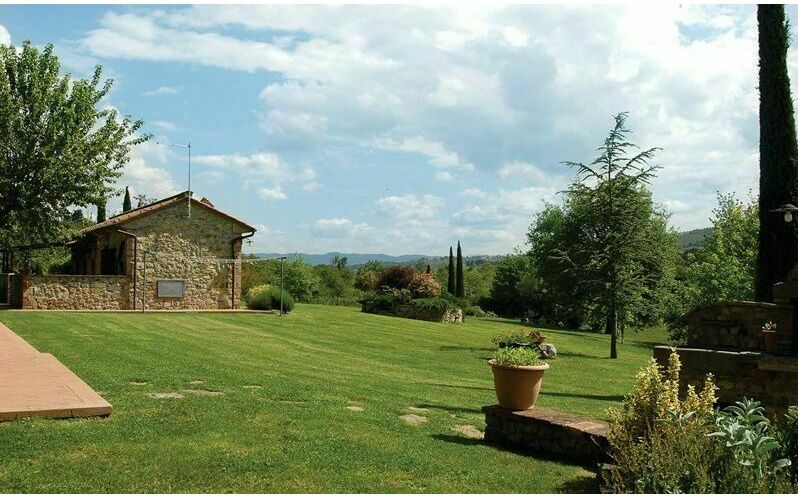 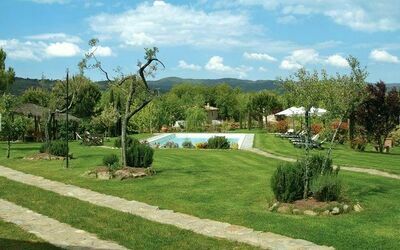 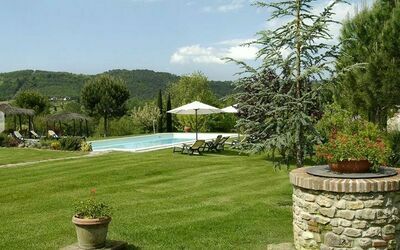 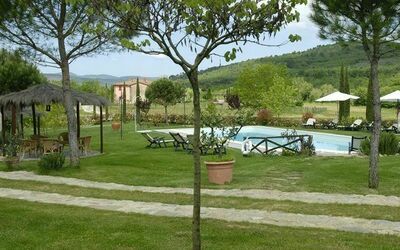 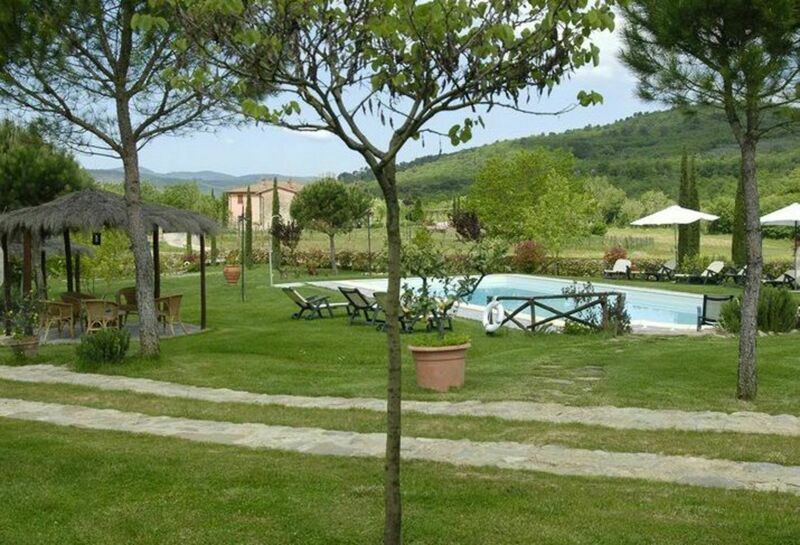 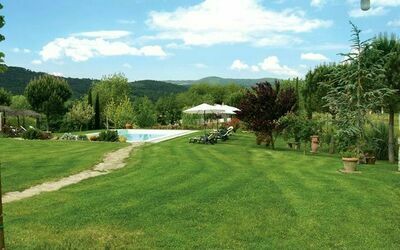 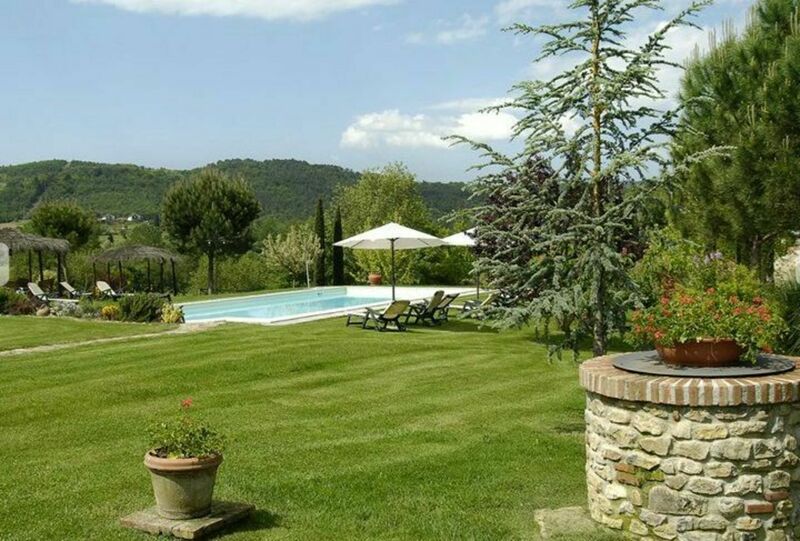 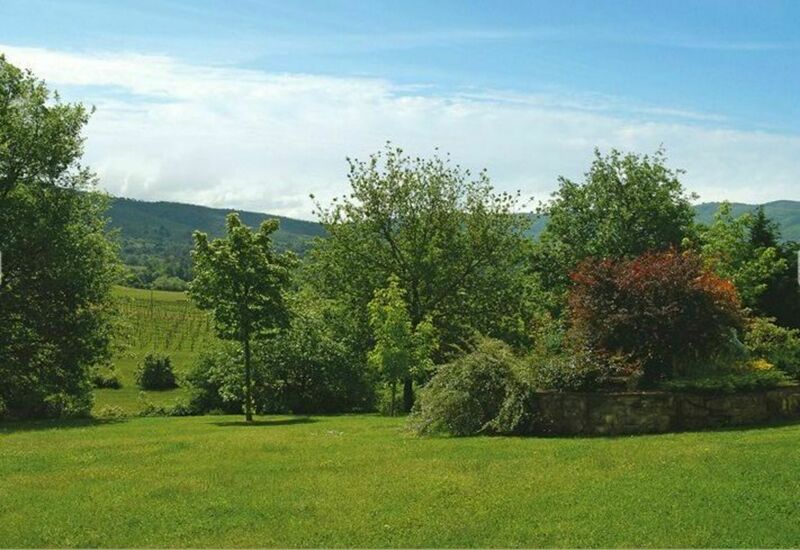 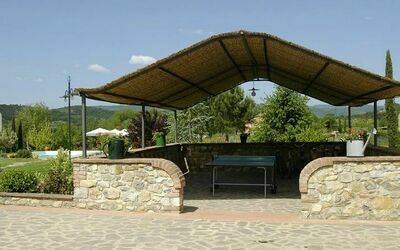 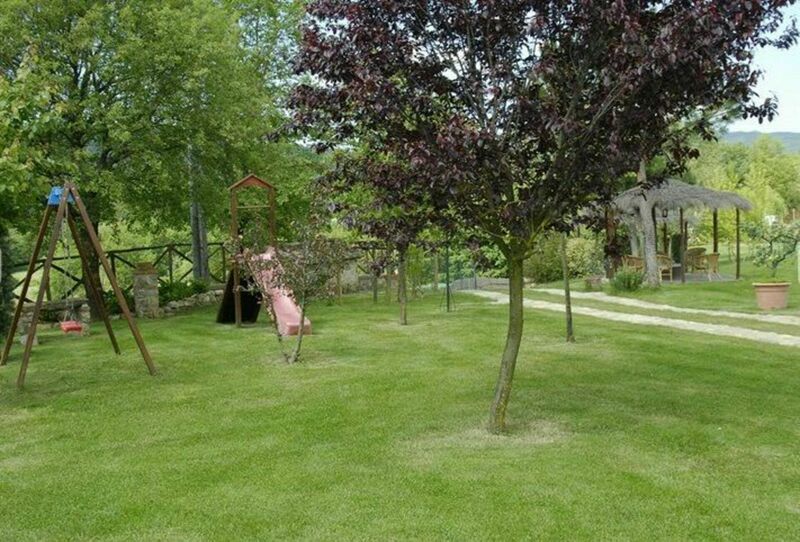 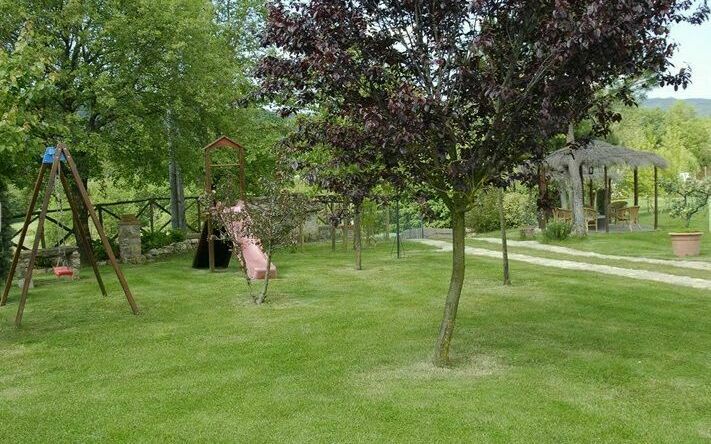 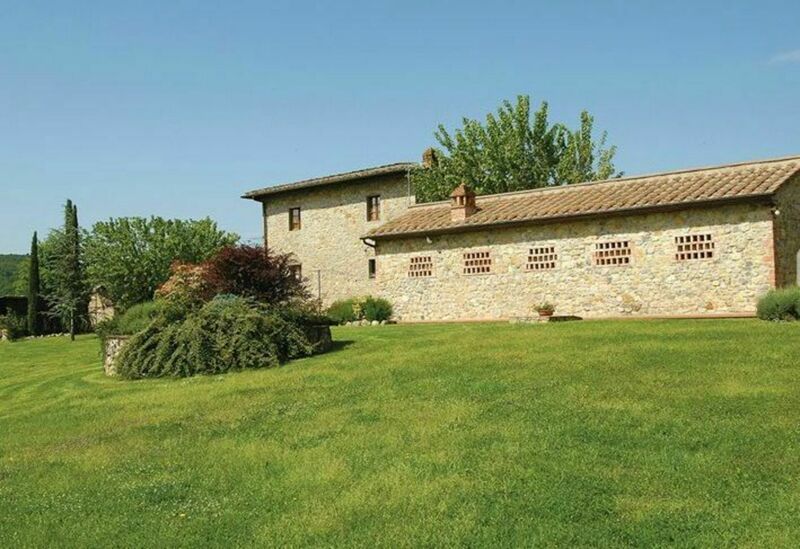 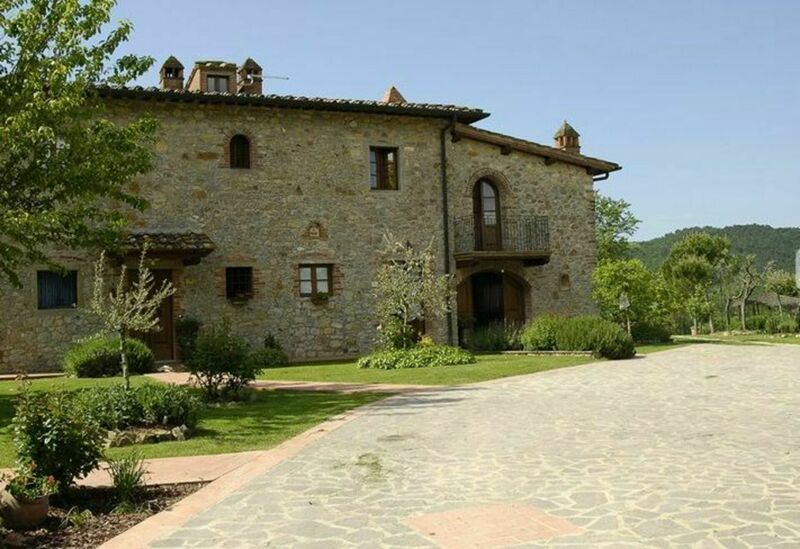 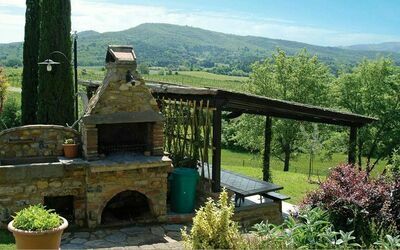 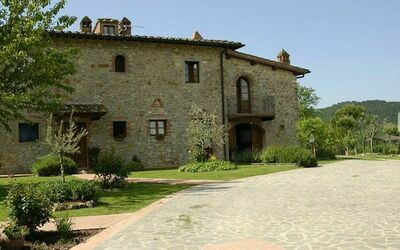 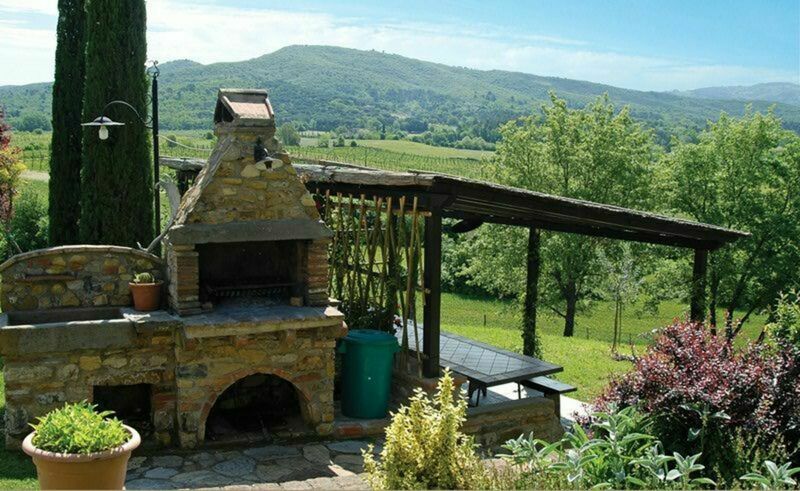 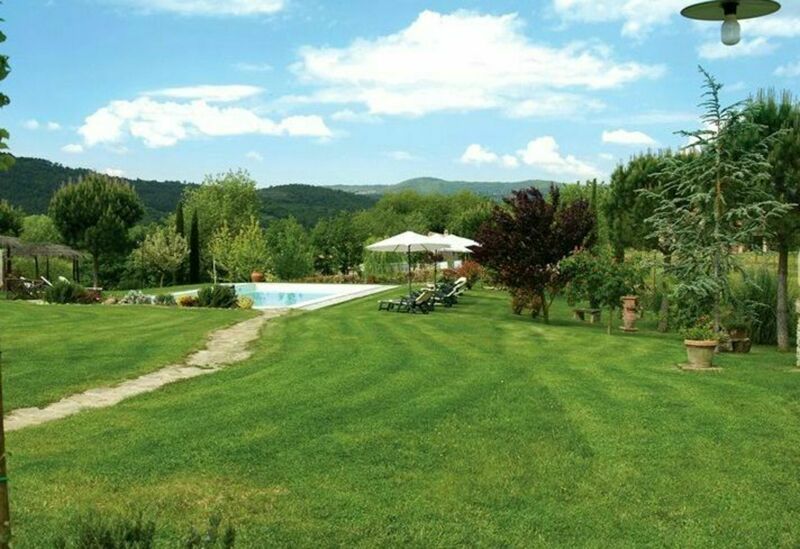 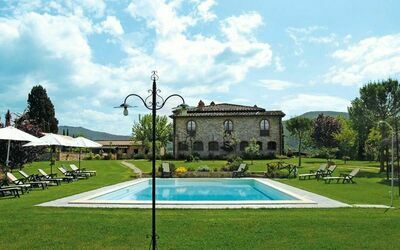 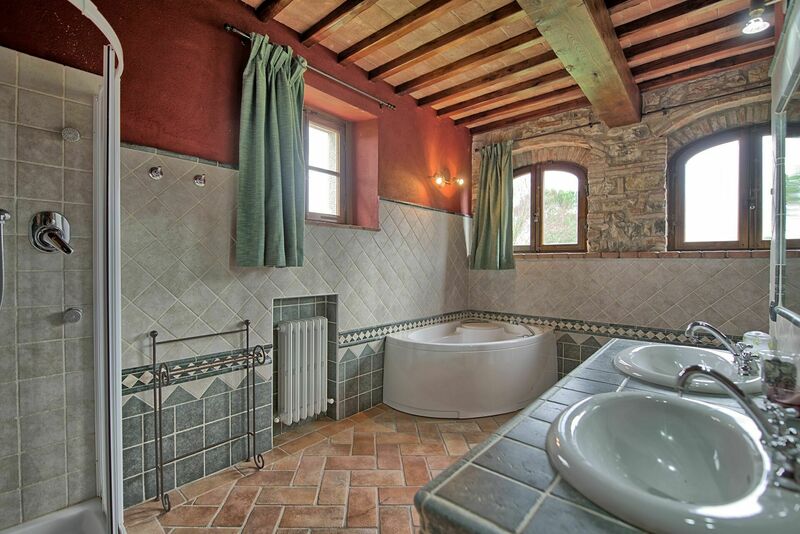 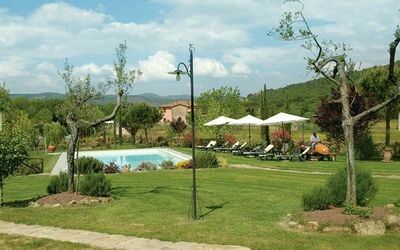 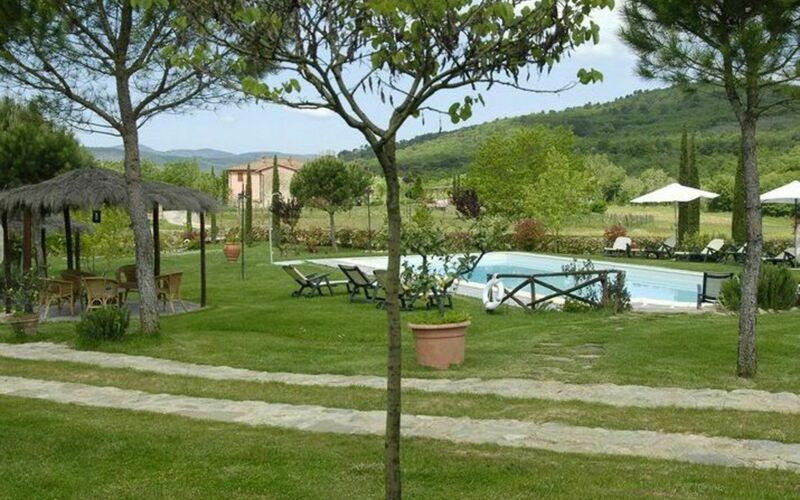 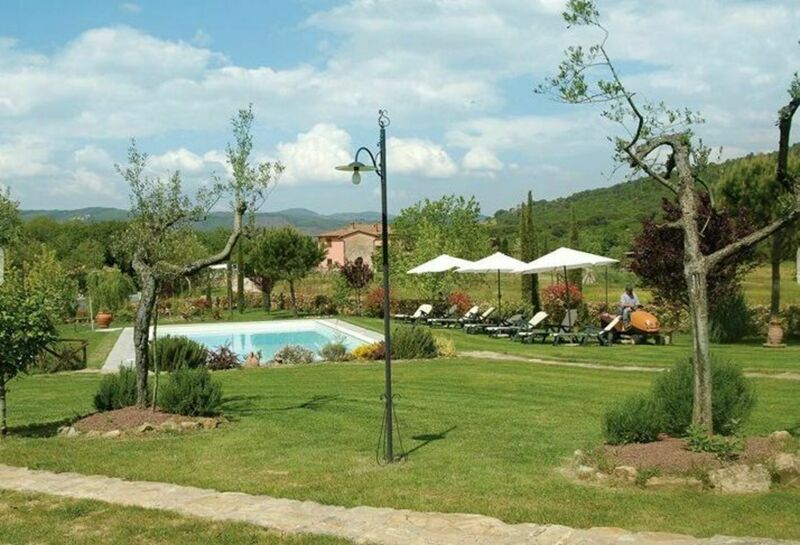 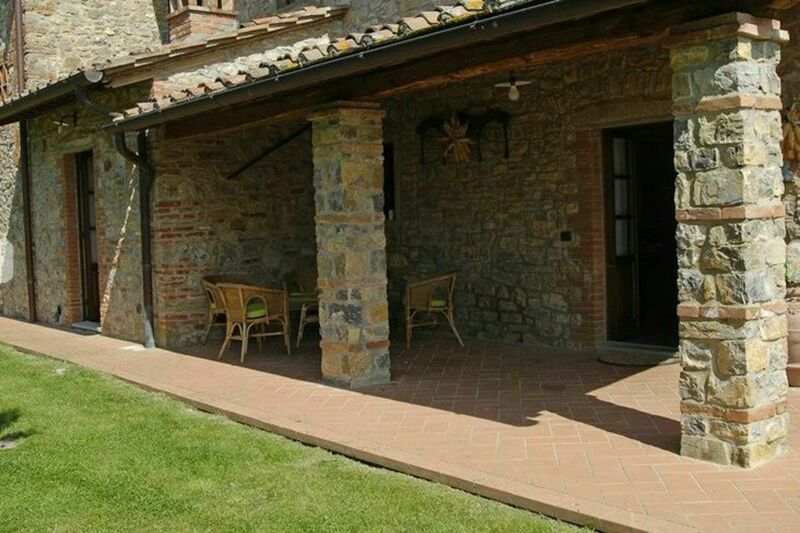 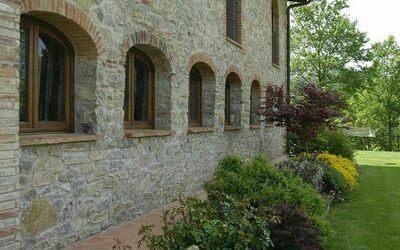 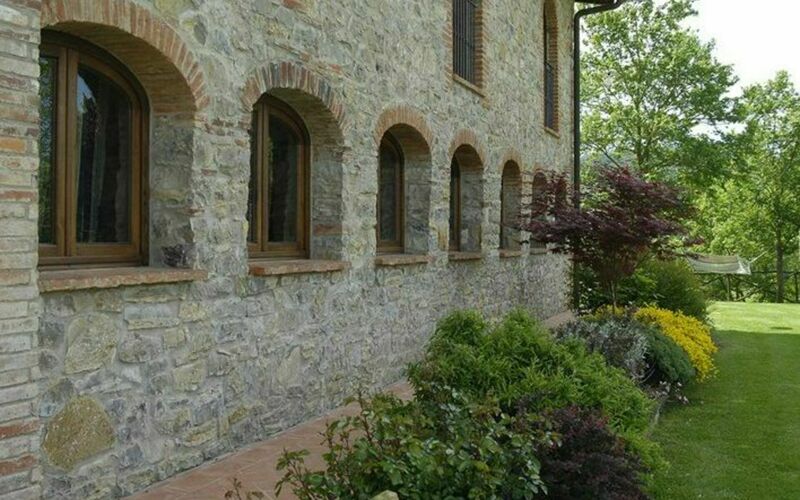 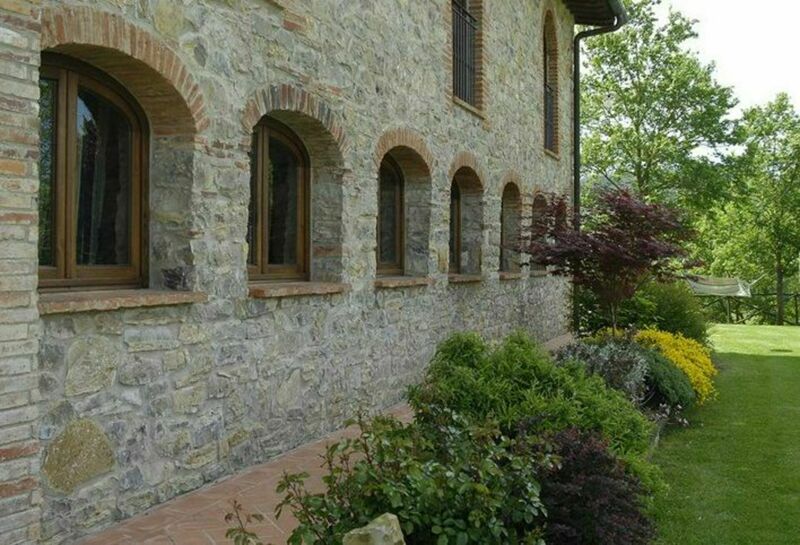 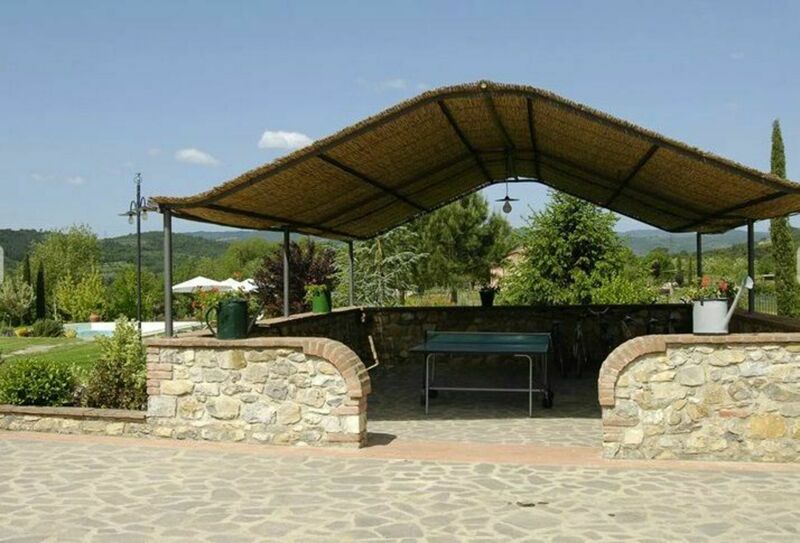 Villa with private swimming pool and panoramic view located in Tuscany near the towns of Badia Agnano and Pieve a Presciano, just 25km from Arezzo. 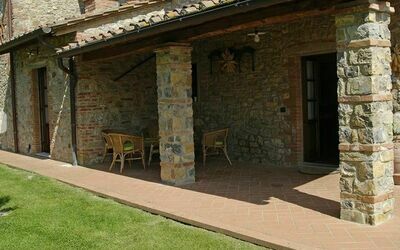 The villa, very spacious and welcoming, can comfortably welcome 18 guests and is an ideal set-up for large groups. Outside, the guests can enjoy a beautiful private swimming pool, a garden and two large gazeboes for outdoor dining. 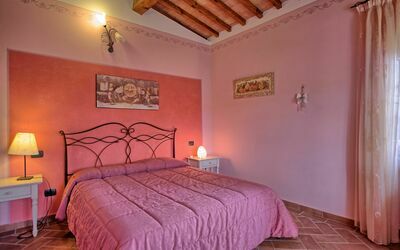 The property is fenced and comprises the principal villa and an independent one-bedroomed unit (only about 10 m from the villa). 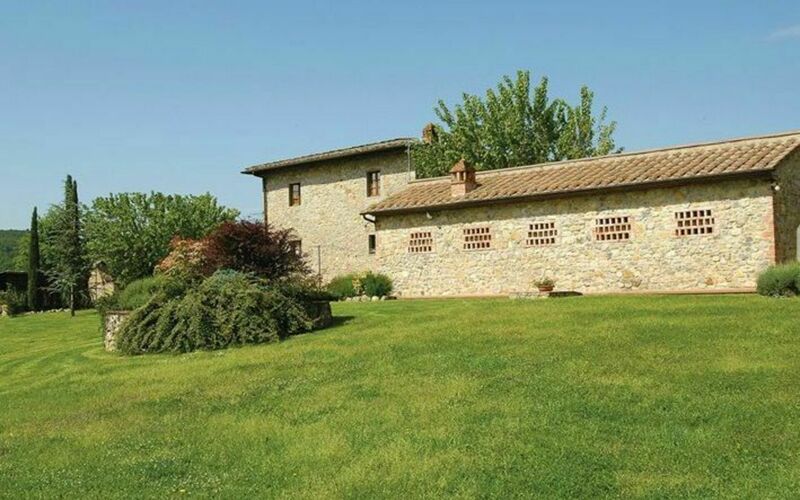 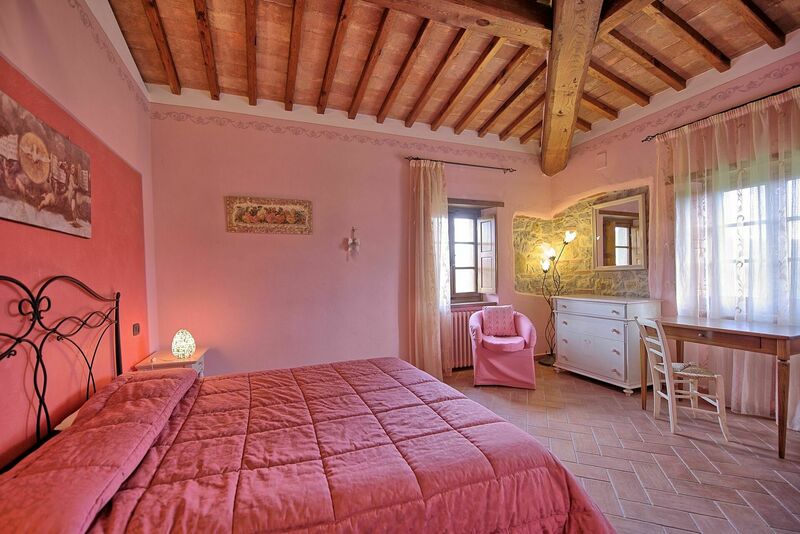 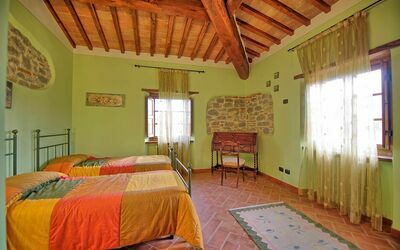 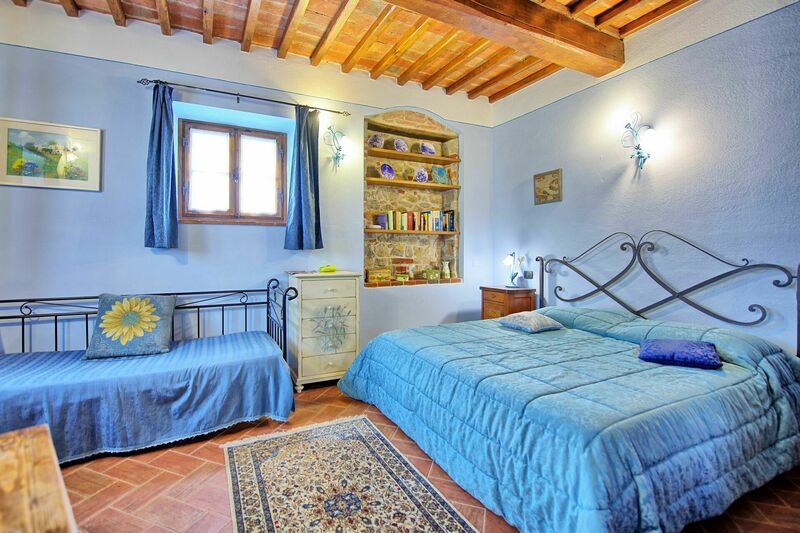 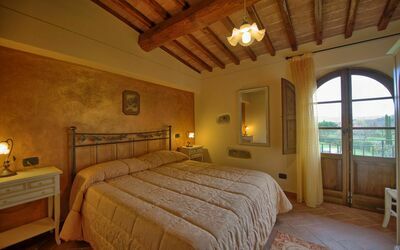 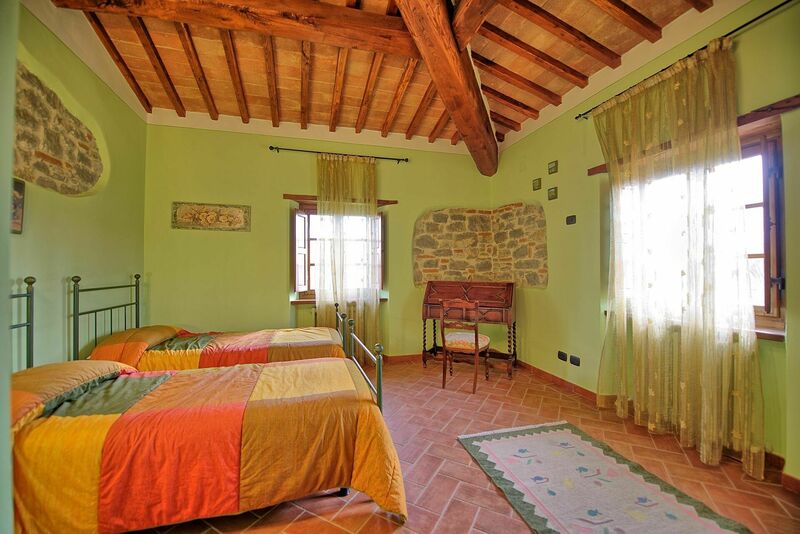 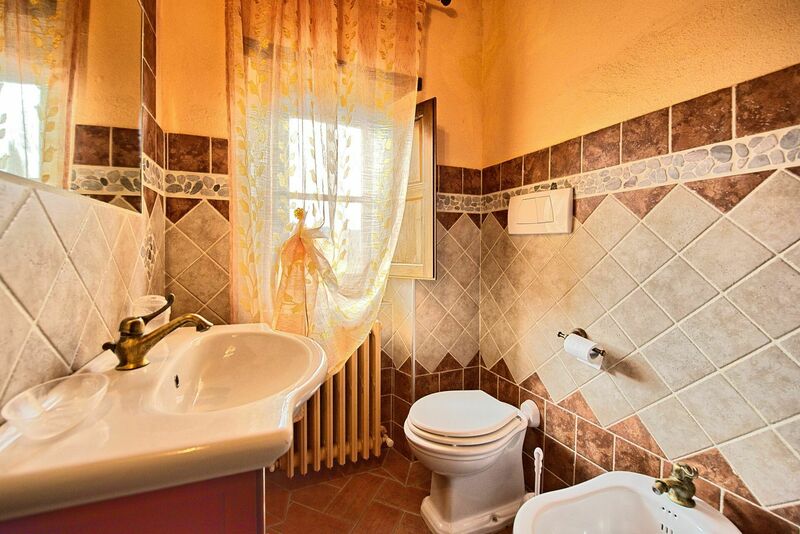 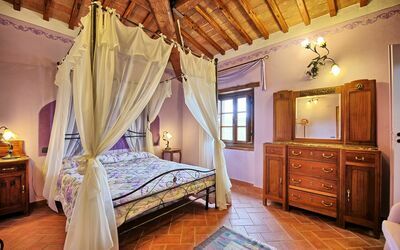 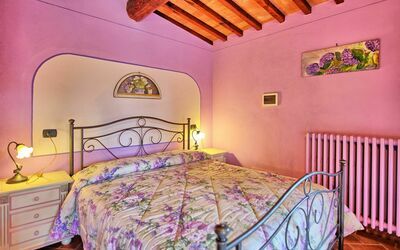 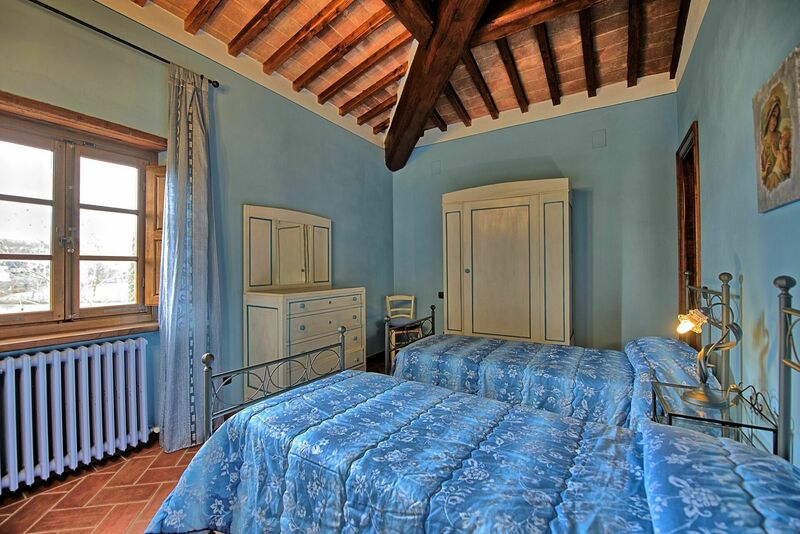 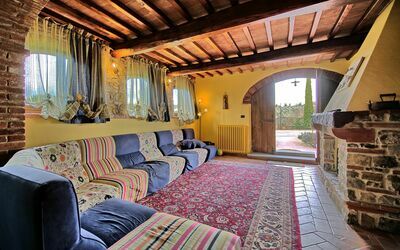 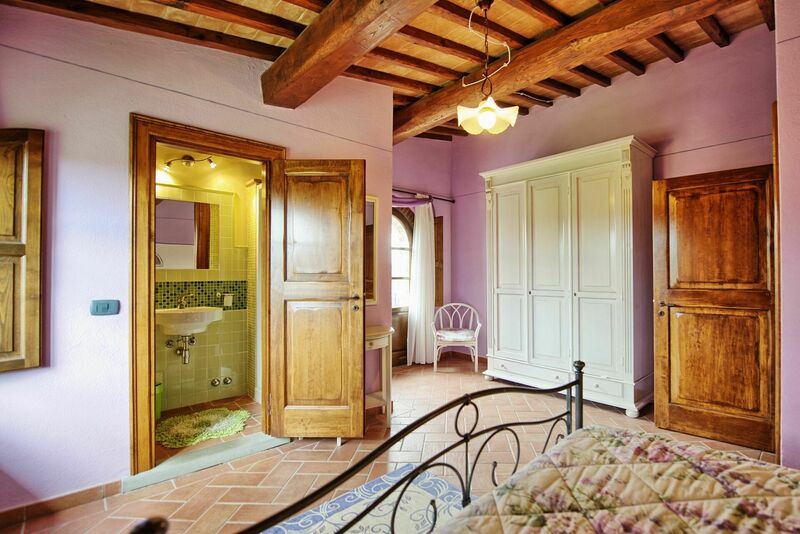 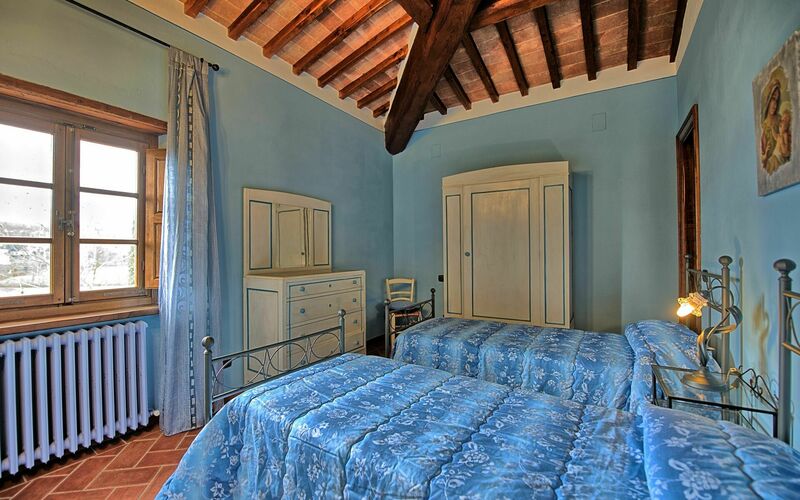 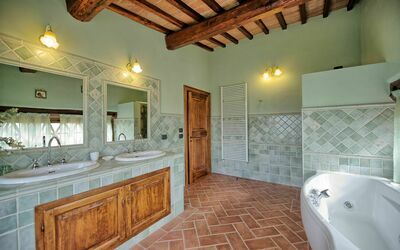 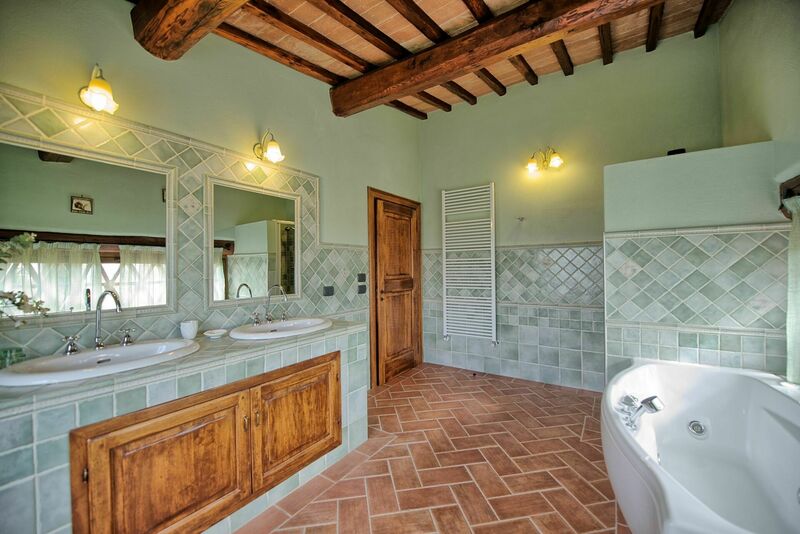 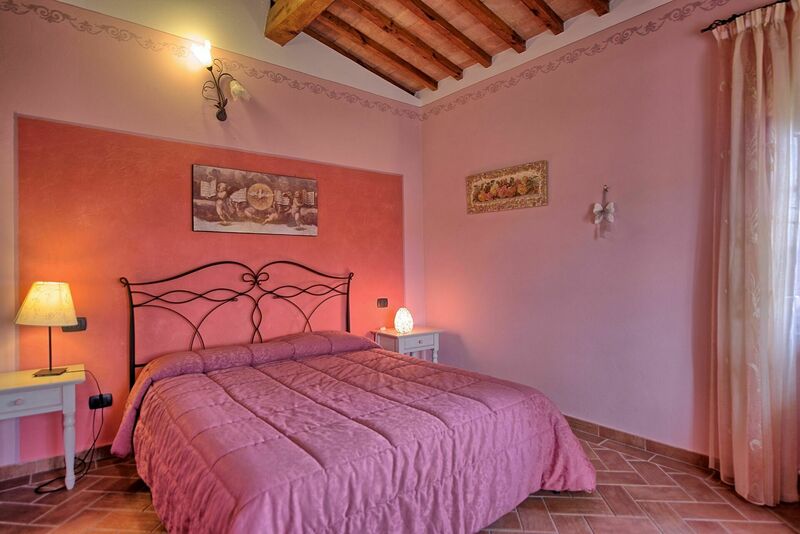 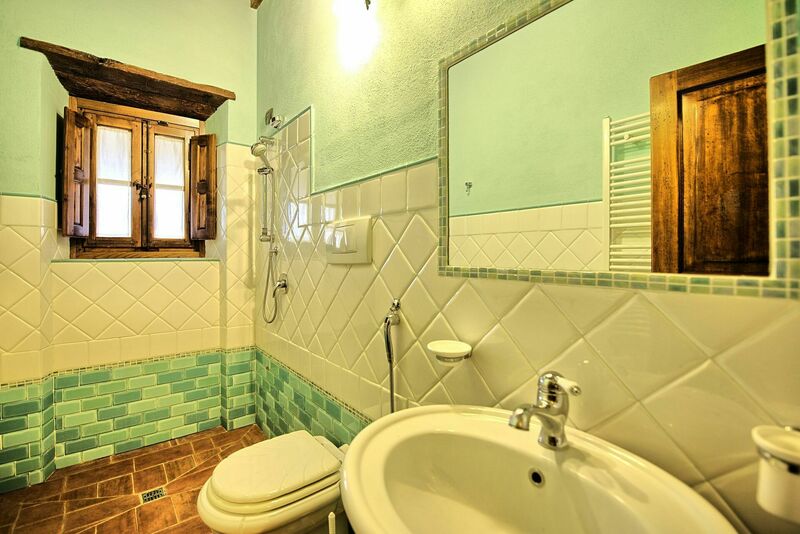 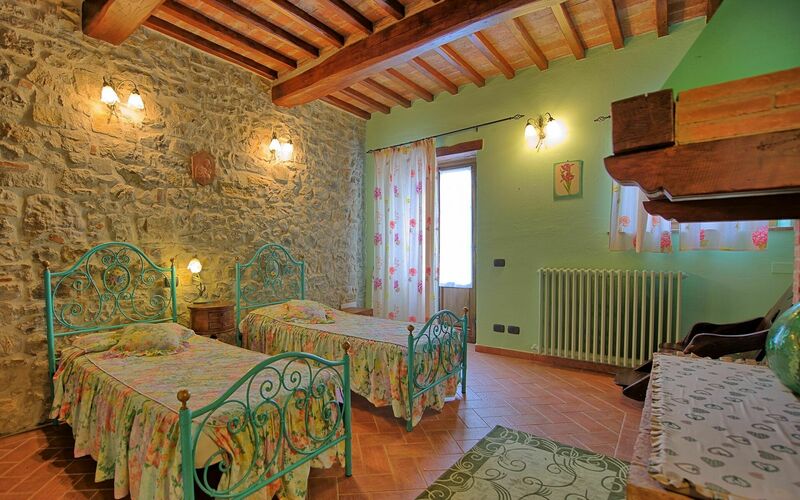 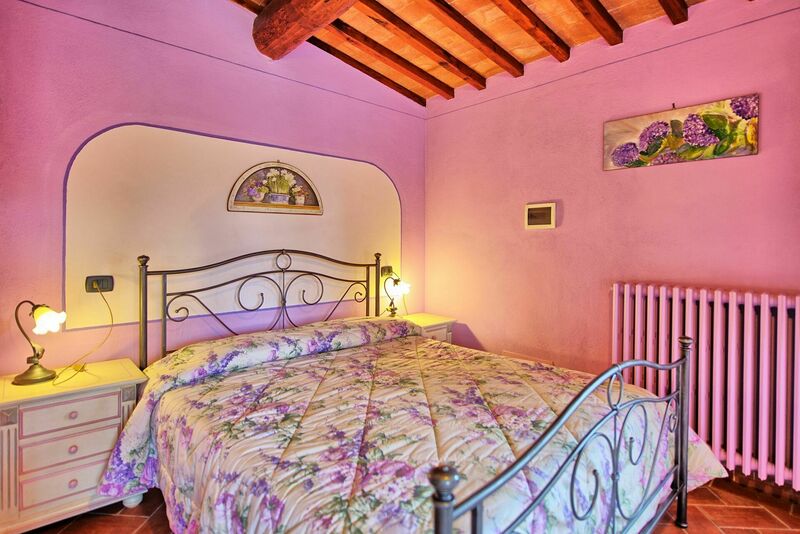 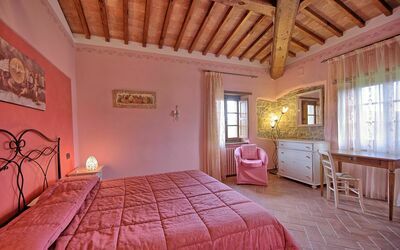 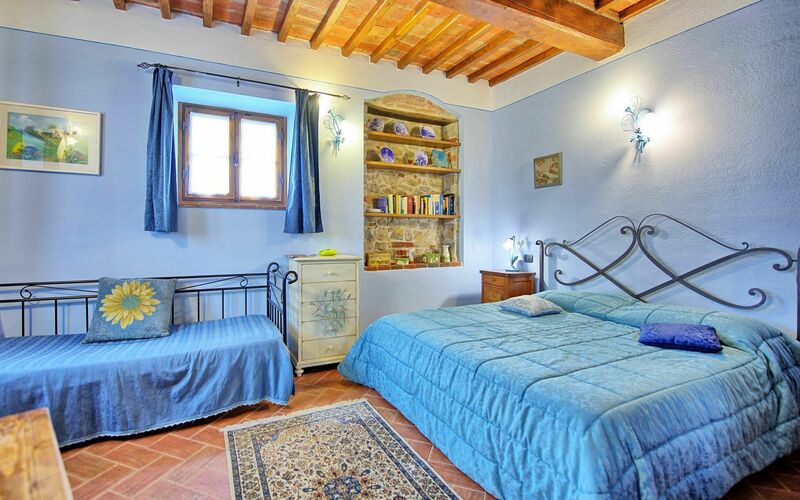 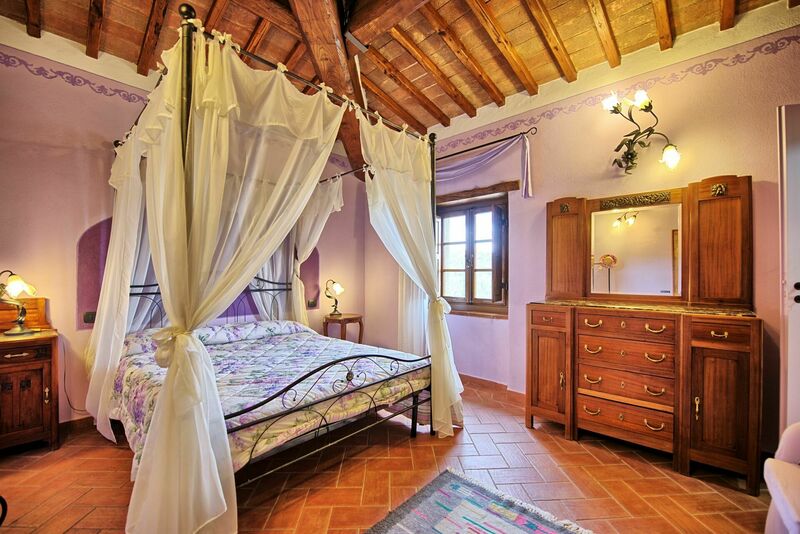 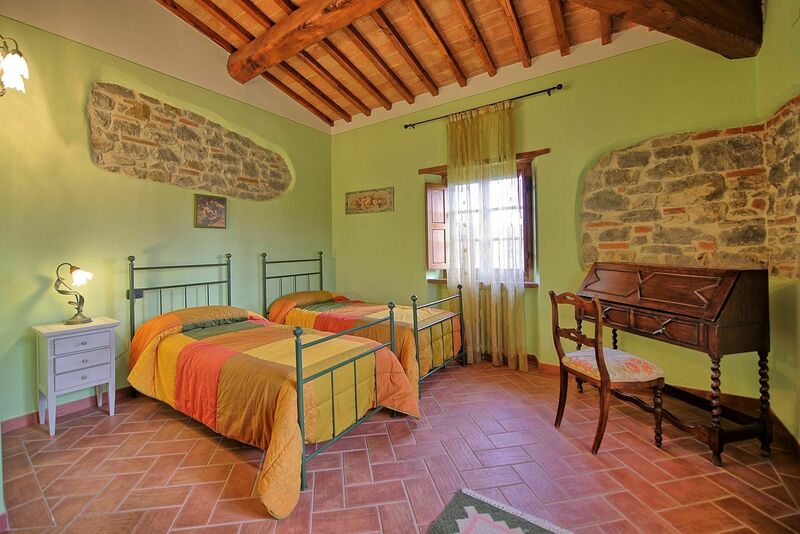 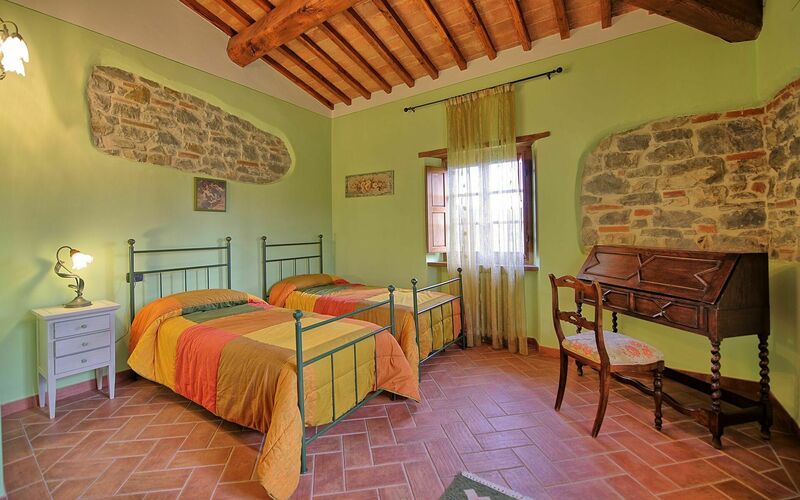 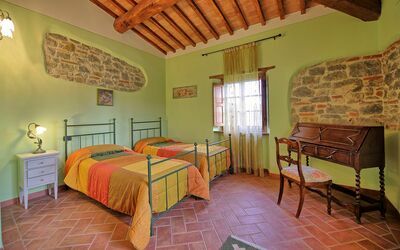 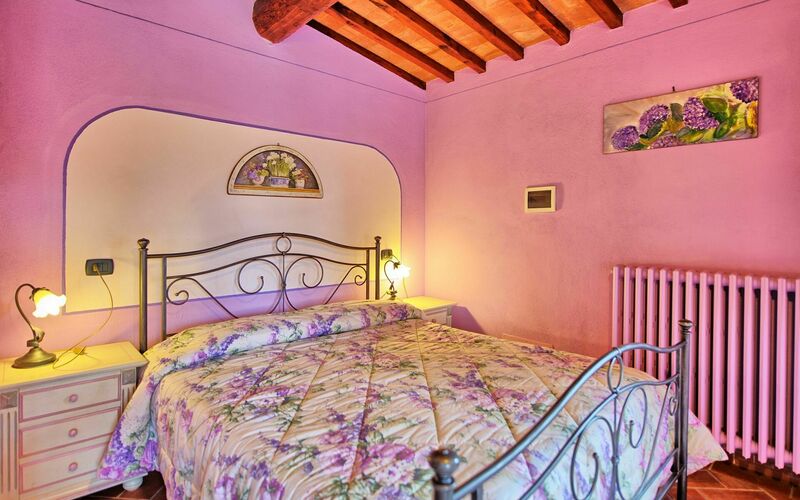 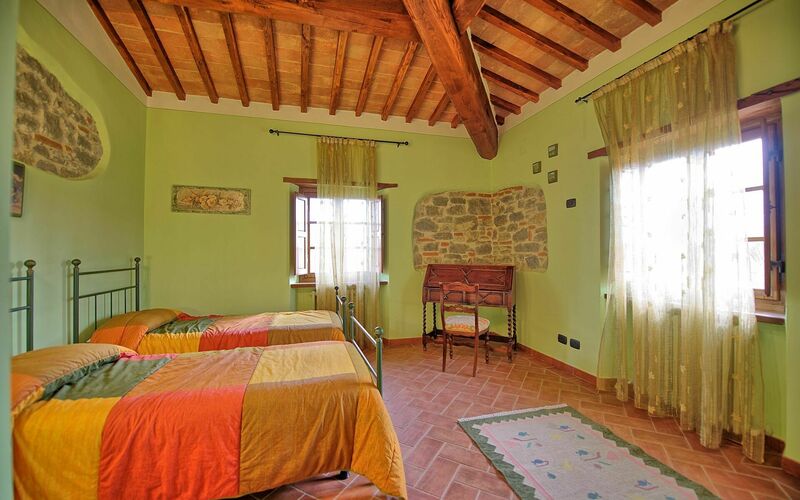 This rental offers a great base for exploring the artistic beauty on offer in the region: Arezzo, Siena, la Val d'Orcia, the Chianti area, Florence, San Gimignano, Volterra, etc. From Arezzo train station (roughly 25km away) trips can be easily made to visit Rome and Florence. 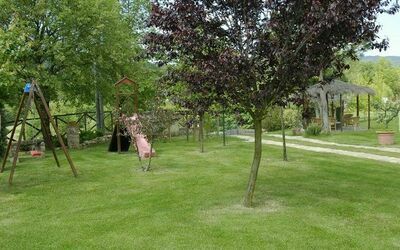 Access to the house is via a stretch of dirt road which is in good condition. 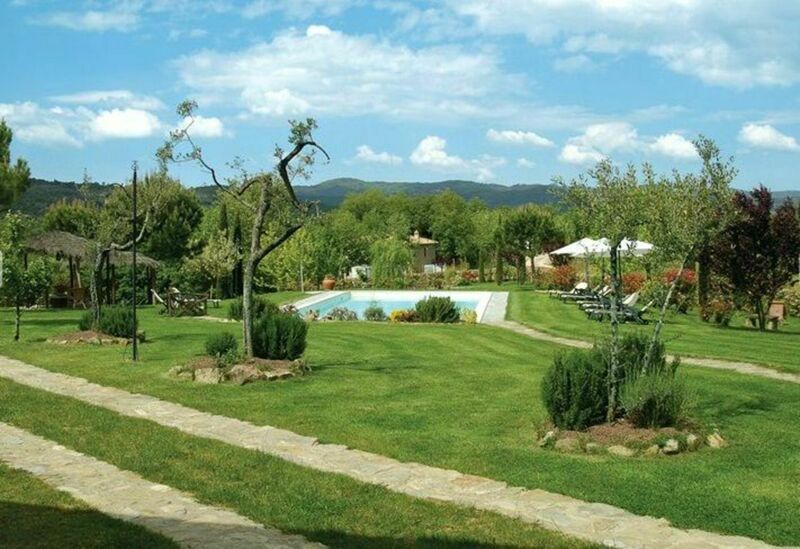 Distances: Badia Agnano (offers a wide variety of shops, bar, restaurants, pharmacy) - 2 km, Bucine (wide variety of shops) - 9 km, Arezzo - 25 km, Rapolano terme (famous thermal springs) - 28 km, the Chianti Classico wine region (Castelnuovo Berardenga, Gaiole in Chianti, Panzano, Castellina in Chianti, Greve in Chianti) lies within a range of 20 - 50 km, Siena - 40 km, Cortona - 45 km, Florence - 70 km, San Gimignano - 80 km, Volterra - 90 km. Ground floor: living area (satellite TV) with fireplace, bathroom with shower and hydro massage bath. 3 steps above: dining area with access to outside, twin bedroom with fireplace (for decorative purposes only), kitchen with fireplace (oven, fridge-freezer with ice maker, dishwasher, microwave, American coffee maker, toaster) and access to outside, bathroom with shower (no bidet), double bedroom. 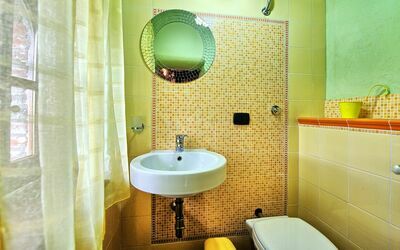 4 steps below: double bedroom with private bathroom with shower (no bidet), double bedroom, bathroom with shower and hydro massage bath. 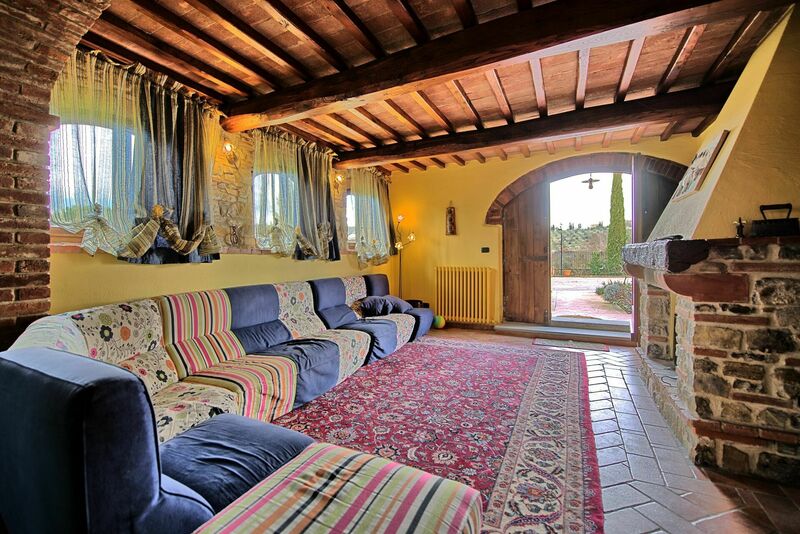 Ground floor: entrance into living area with kitchenette (fridge-freezer). 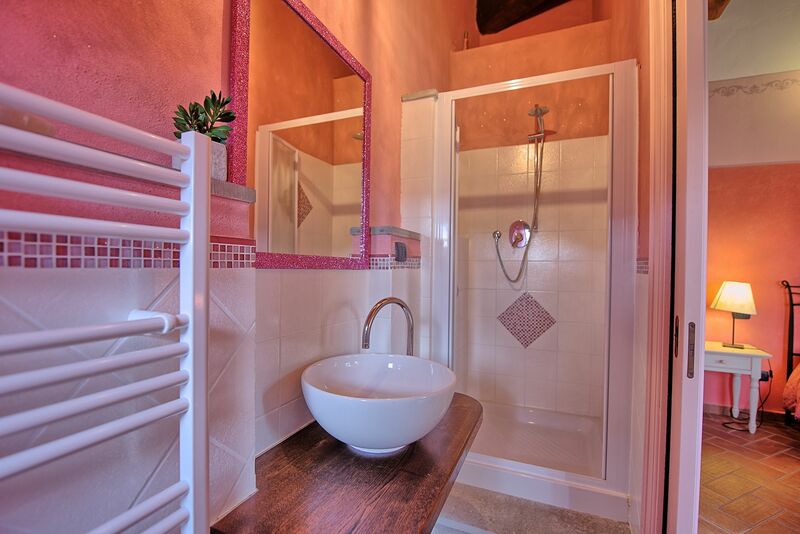 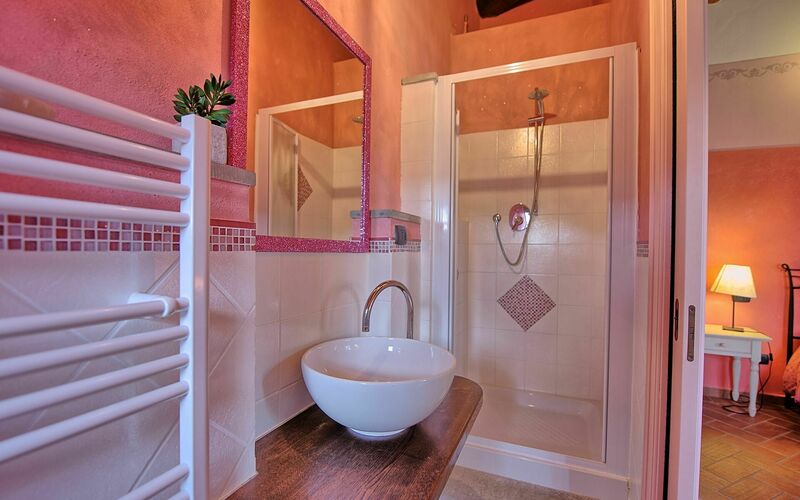 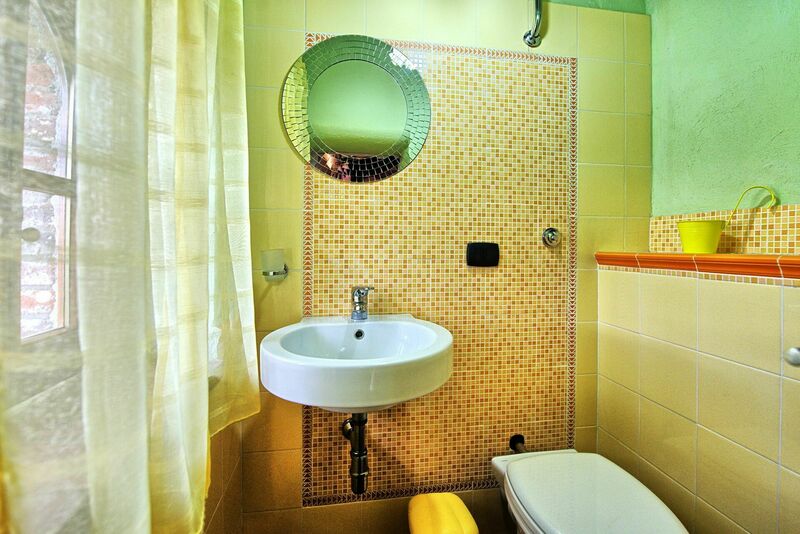 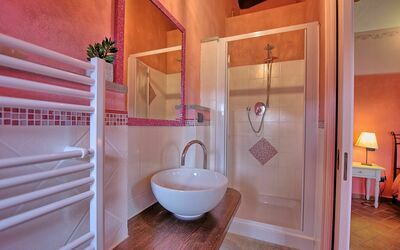 Double bedroom, bathroom with shower. Local Tax: 1,- € per person/per day for the first 7 days of stay.